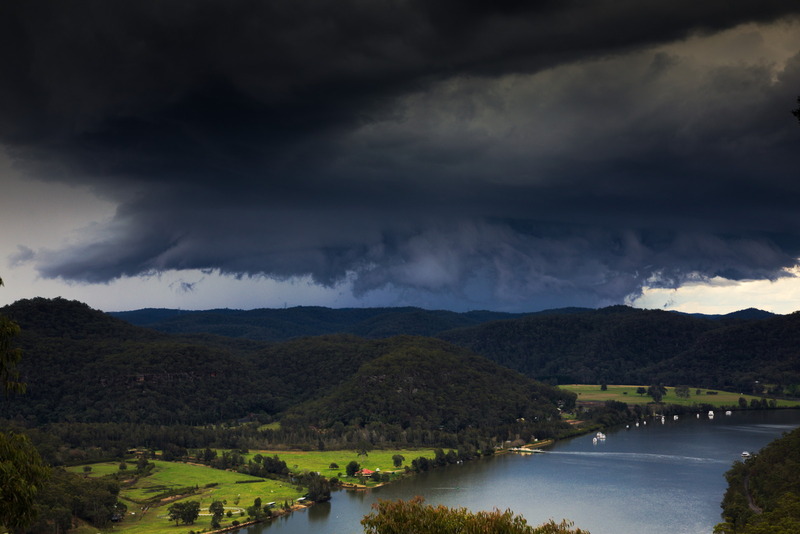 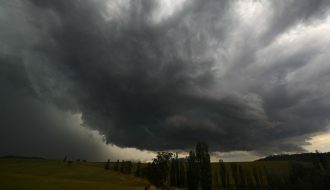 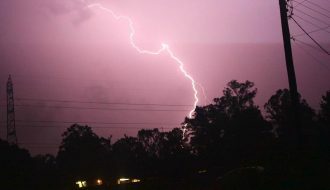 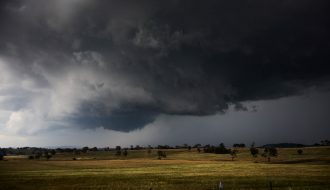 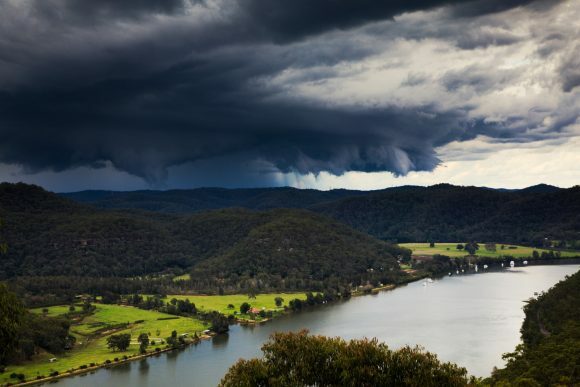 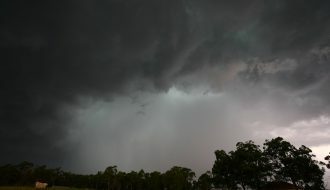 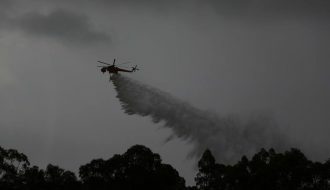 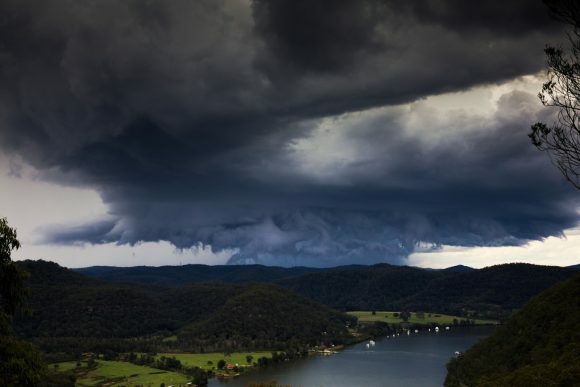 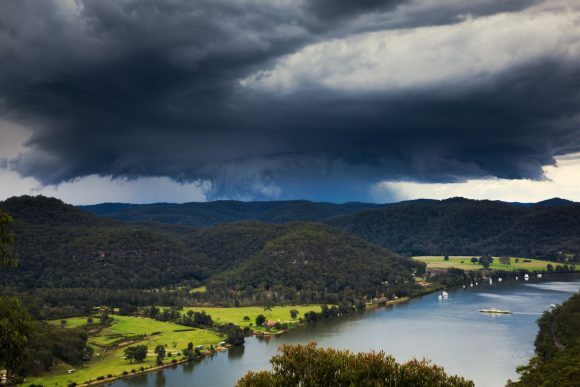 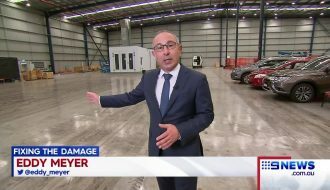 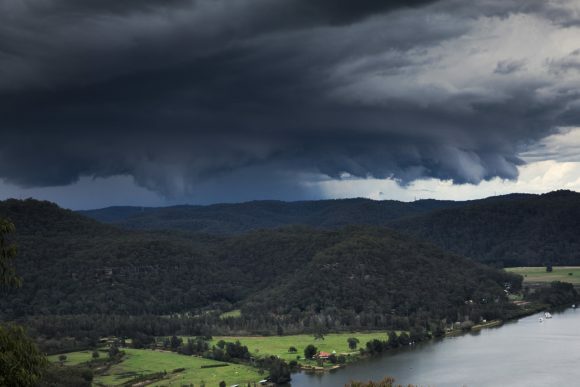 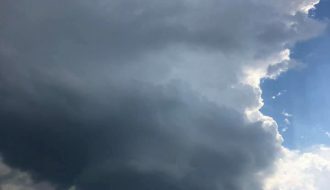 With instability approaching Sydney during the afternoon, thunderstorms were anticipated to hit Sydney and in particular the Central Coast. 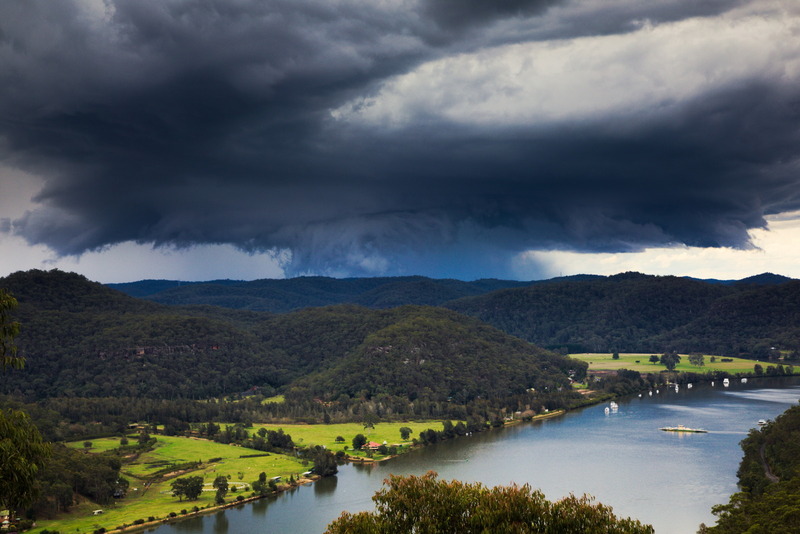 One storm developed and remained discrete and gradually approached the region near Wiseman's Ferry. 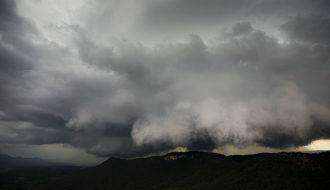 A spectacular high contrast base and shelf cloud developed as it passed within a gap through the trees overlooking the Wiseman's Ferry township.